Browse clay-bricks suppliers by country and region. 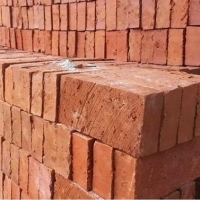 Yangquan Rising Commercials Co., Ltd.
High alumina bricks, fire clay bricks, silica bricks, mgo bricks, MG-C bricks, AMC, MAC bricks, macro spinal bricks and other shaped products as well as mortars, castables and other monolithic. Fire clay , high alumina bricks, laddle refractory, tanduis block, acid resistance bricks, porosint insulating bricks. Short on time? Let clay-bricks sellers contact you. Magnesium alloy plate, sheet, tube, bar, anode, extrude profile, casi alloy, fire clay brick, high alumina brick, insulating brick, ceramic proppant. Fused cast azs, fused cast azs er1681(refel 1532, cs-3), fused cast azs er 1685 (refel 1334, cs-4), fused cast azs er1711(refel 1240, cs-5), fused cast alumina, mullite brick, zircon brick, alumina bubble brick, sillimanite brick, corundum brick, low porosity fireclay brick, high alumina brick, all kinds of insulation brick. Fired clay bricks, hand mould red clay bricks, extruder bricks, terracota. Silica bricks and clay bricks. Shree Vrindavan Refractories Pvt. Ltd.
HFI, HFK, CFI , high alumina bricks ranging upto 70%, fireclay bricks with related mortars and castables, glass bottom tanks, tiles and hanger, shoulder bricks according to customer drawings.